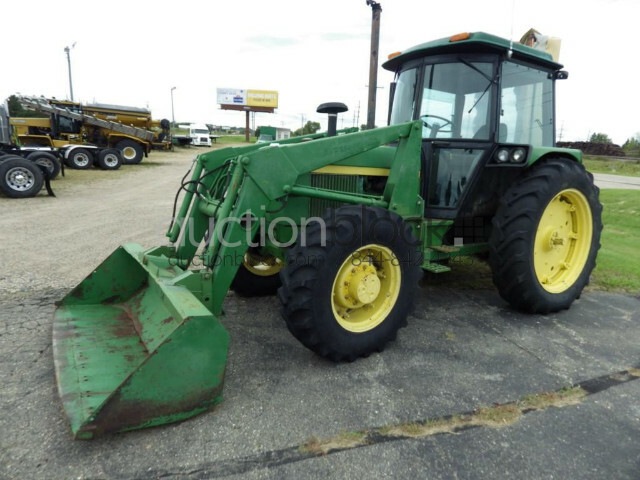 1986 John Deere 2750 4 wheel drive tractor with 158 loader, cab, cold a/c, heat, stereo, runs and operates as it should freshly serviced ready to go to work. I bought this to use around the ranch, but it is too tall to get under the trees so it really limits what I can use it for. Danged trees.